Posted by Gina in Fiction, Movies, Non-Fiction, Thoughtful Ramblings, Uncategorized. One of the types of books I love to read are books that end up getting adapted to movies. I enjoy seeing the differences between my interpretation of a characters physical description and the actors that are casted for roles. What is also an intriguing but can be frustrating is what is left out of movies, changed, or added to make the movie more profitable. Below are a few of the books that I’ve read that have been adapted into movies. I hope you enjoy it and get an idea for your next book to read and movie to watch. The Five People You Meet in Heaven is written by my favorite author Mitch Albom. This was the first book by Mitch Albom that I was introduced to it. At the time, when I first read the book, I was in grade school. The book was released in 2003, the movie premiered as a TV movie the following year. Me Before You by Jojo Moyes is a sweet, warm-hearted story of finding love in unexpected places. Louisa Clark lives a basic life, has a job, close to her family, in a steady relationship. Once she receives notice that the coffee shop she works at is closing, Louisa is in desperate need of a new job, any job. She interviews to be the companion/ care-giver for wheelchair-bound Will Traynor. Louisa tries her best to improve Will’s happiness given the circumstances. Through they’re time together they both find happiness and love but they can’t live happily ever after. A decision Will made even before he met Louisa prevents this. A movie was adapted from the book with Emilia Clarke as Louisa and Sam Claflin as Will, released last February. 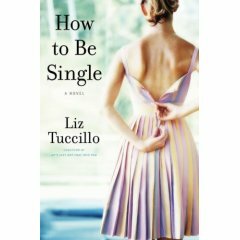 How to Be Single by Liz Tuccillo was the perfect book to read at the timing of a recent breakup. This book was not at all what I was expecting, given the title but as a book I complete enjoyed it. The story follows the main character as she travels to various countries to learn what it means to be single in those cultures in contrast to what it means to be a single woman in the USA. The book originally published in 2008 was not adapted to a film until February of last year. I saw the movie right after reading the book and was completely disappointed. This is a perfect example of how different a book and movie adaptation can be. The Immortal Life Of Henrietta Lacks by Rebecca Skloot follows two stories. The first is the story of Henrietta Lacks, an African-American woman as she undergoes cancer treatment in the 1950s. The second story follows the author as she journeys to Boston to find the full story of Henrietta Lacks. 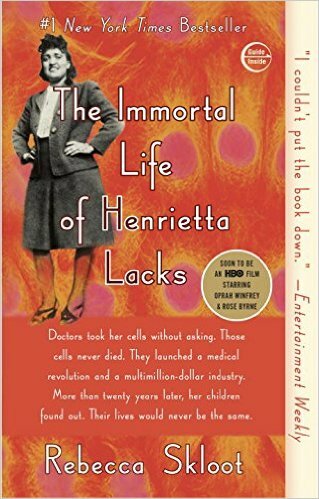 Intrigued by the only information she found in a medical text book, that a woman named Henrietta Lacks had cancer cells that continue to grow even after her death. Rebecca meets with Henrietta’s daughter Deborah Lacks who helps her on her quest to write the book to tell the full story of Henrietta, not just about the HeLa cells. I started reading this book a couple years ago but when I saw in the newspaper that it would be adapted to an HBO TV movie, I had to finish it. The movie is scheduled to air on April 22 with Rose Byrne playing the role of Rebecca Skloot and Oprah Winfrey as Deborah Lacks. In William Paul Young’s The Shack, Mack returns to the Shack. This old abandoned building was the last location that Mack’s youngest daughter was thought to have been when she was abducted from a nearby camping grounds in Oregon during a family vacation. Mack was intrigued by a note he received in the mail to return to the shack, addressed by God. In this visit, Mack meets all three forms of God, gets understanding of life’s mysteries and finds peace. If you have ever wanted to have a deep meaningful conversation with God, this is the book for you as it was for me. I read this book last year for the department’s monthly book discussion but did not find out it would be adapted to film until last week. I am extremely excited for the release this weekend staring Sam Worthington as Mack and Octavia Spencer as Papa. I hope you enjoy reading and watching! Posted by Megan in First Novel, Thrillers. I will be the first to admit that I am often late to the party, so to speak. In the case of Janet Evanovich’s spunky bounty hunter, Stephanie Plum, I am beyond fashionably late for this party. I have to admit, this seventeen book series (plus four novellas, and a collection of short stories) is a daunting undertaking, but I am game! It all began with One For the Money, way back in 1994 when a newly divorced and unemployed Stephanie went to work for her bail bondsman cousin, Vinnie. She was looking for an office job, but after a little convincing, finds herself employed as an apprehension agent. Her first cases are to find Joe Morelli, a cop from the Burg accused of murder and Benito Ramirez, a professional boxer and homicidal madman. Of course Stephanie is not left to flounder on her own. She gets a crash course in Bounty Hunter 101 from the dark and mysterious Ranger. With her hamster Rex around for moral support, and a comically insane family around to feed her, Stephanie survives to draw another case. I now understand why there are so many books in this series and so many fans! These books offer the perfect blend of suspense, humor, steamy romance, and unforgettable characters. They are the ultimate pleasure read because they are fast-paced and fun. I am up to Three to Get Deadly and I am not longer overwhelmed by the number of books in the series, I am excited that there are fourteen more for my reading pleasure! The best part? I can finally start participating in some Ranger vs Morelli debates, just in time for the movie! Lee Child’s Jack Reacher is another character who has been around for a while (sixteen books and counting). I am currently getting to know him in his debut, The Killing Floor. Back in 1997 Jack Reacher was a drifter. The former U.S. Army Military Police Major spent six months travelling the country with nothing more than some cash and an expired passport in his pocket. He never stayed in one place for very long, until the fateful day he got off the bus in Margrave, Georgia. When an unidentified man is found dead in a town that has been crime-free for decades, the most likely suspect is the strange newcomer. And so begins Jack Reacher’s involvement in the deadly affairs of a small town. The corruption spreads far and deep, but Reacher, upon learning he is connected to the dead man, is bent on revenge. With the help of the only two cops who believe him, he sets out to learn the truth about the brutal murders plaguing Margrave. I haven’t finished this yet, but it is certainly a page turner. Jack Reacher is a cool, calm, and calculating hero. Despite his stoic and aloof nature, he is still a likeable guy. I look forward to more adventures with this wandering hero. Are you all caught up on your favorite series? Posted by Ann in Audio, Debut Author, Fiction, First Novel. Aibileen is a maid in the Lefolt household. Skeeter is one of Elizabeth Lefolt’s best friends. When these three women very quietly join forces in the extremely segregated Jackson, Mississippi community of 1962, great things just might happen. 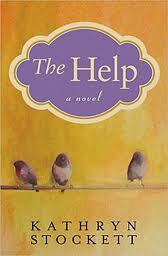 Read The Help by Kathryn Stockett; see the movie on August 10th. This is one of the very best books I’ve read this year, and if you’ve missed it it’s not too late. It is especially wonderful as an audio book (read by Jenna Lamia, Bahni Turpin, Octavia Spencer, and Cassandra Campbell). The library owns the title in many formats- book, large print book, audio book, downloadable audio book, and downloadable e-book. Posted by Donna in Movies, Thoughtful Ramblings, Young Adult. In the book, Kyle is changed into a beast…one with fangs, claws and lots of hair! Kyle in the movie is turned into a beast but he certainly doesn’t look too hairy to me! I’m also having a hard time picturing Mary-Kate Olsen as Kendra the witch who puts Kyle under her magical spell. I also wonder how the Unexpected Changes chat group that Kyle goes to online will be portrayed. I hope the ending won’t be changed!….I’m sure glad that I have read the book first and once again, I think the book will be much, much better than the movie! We’ll see…. Beauty: A Novel by Susan Wilson, A Moment in Time by Judith Gould and The Bride Finder by Susan Carroll. Remember….I’m the reader who loves Happy Endings….well, I just finished another novel based on The Beauty and the Beast fairy tale. It is the new historical romance paperback by Eloisa James titled When Beauty Tamed the Beast. I loved it! There’s the Beauty and naturally, there’s the Beast and a happy ending for all! Yeah! Posted by Victoria in Fiction. 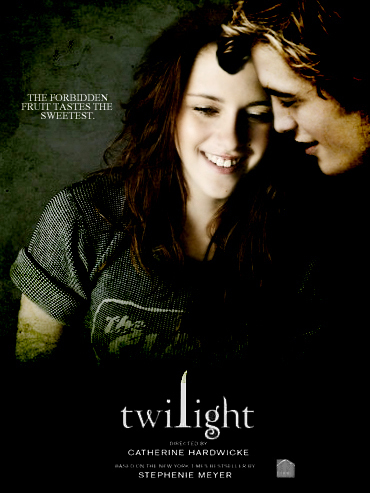 Fans of the Stephenie Meyer best-seller Twilight, was released on the big screen this past Friday, Nov. 21st. Reviews of the movie have been mixed, but so far fans have been flocking to the theaters. It is predicted that the movie will recoup its 37 million dollar production cost in its opening weekend alone. For those of you who have not yet read the book, it is available in e-book format through RRPL’s digital download service Overdrive. Simply go to www.digiload.org and search for the title. You will need to download the latest version of Adobe Acrobat to read it. It’s free (with your library card)! If you were among the dedicated fans who saw the movie this weekend, feel free to offer your comments and reviews.